Global financial Crisis-Blame the populist policies not free markets! Just read this view-point entitled “Smooth functioning free market; conditions are attached” on The Himalayan Times of Dec 15. The leftist economist and critics who are riding the bandwagon of state intervention after the global financial crisis declaring it a failure of markets comfortably choose to forget the fact that economic depressions are part of a democratic process of the market to transform resources stuck in unproductive sectors towards more productive sectors and the financial recession emerged from the misguided policy of the US government that encouraged dirt cheap credits for home-ownership. Misguided by the bad policies, banks and other financial institutions invested majority of their resources in the home mortgages which increased the investment in housing sector tremendously. When the market couldn’t take the expansion anymore it busted dragging down major financial institutions as well as other industries. So, the financial crisis instead of being a failure of market is in fact the failure of state intervention in the mortgage markets. Had it not been for the unnecessary intervention of the state in the markets, the recession would never have occurred in first place. For the past 10-12 years, the U.S. economy invested in housing at a rate above that suggested by historical trends. 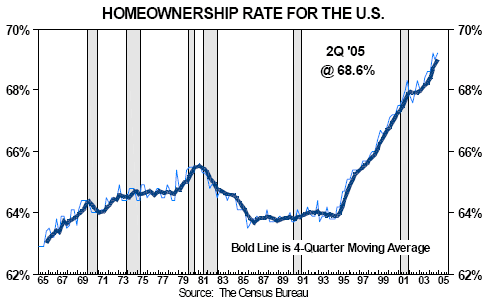 This boom coincided with a substantial increase in homeownership. These facts suggest that the U.S. over invested in housing during this period. It’s sad that a respected economist like Dr. Dhungel chooses to ignore the facts and give a biased viewpoint to further state intervention.